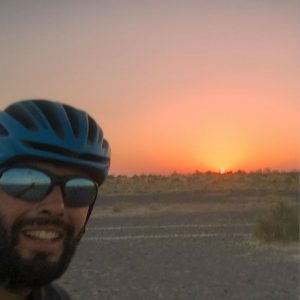 Adam Sultan first appeared in episode 117 where he talked about his project called #LifeYears aimed at making every single year of his life memorable and unique. Two years ago, Adam began a multi-year cycling adventure called #RideTheWorld and he’s here to talk about how the adventure has unfolded so far. You can learn more about Adam at his website adamtsultan.com. Adam Sultan, welcome back to the show.